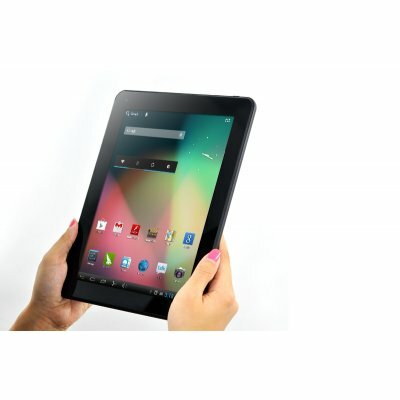 Deal Of The Week – 9.7 Inch HD Android Tablet PC "Diablo"
Only 10 days left to get this deal of the week! The tablet “Diablo” with its huge 9.7 inch screen is a viewing power house however it is available at Chinavasion for an incredibly low budget price, which enables the “Diablo” to be a good tablet choice for you! With a 9.7 Inch 10 Point Multi-touch Capacitive Touchscreen, 1024×768 HD Resolution, Dual Core Cortex A9 1.6 GHz Rockchip 3066, 16GB Flash Memory, and 7600mAh Battery, the “Diablo” offers great features at a fantastically wholesale price. And with 41% off the original wholesale price, this is the perfect time for you to hit “Add to Cart” now. 9.7 Inch 10 Point Multi-touch Capacitive Touchscreen with 1024×768 HD Resolution – With such a brilliant HD display, the “Diablo” is crystal clear for you to watch movies, read online news/emails or play your favorite games. Dual Core Cortex A9 1.6 GHz Rockchip 3066 – This dual core cortex A9 1.6GHz tablet will shred 3D Games, Crackle, HD video and be able to devour any application you download from Google Store with ease. 16GB Flash Memory – The “Diablo” is abundant for storing your media files and data, however if you need to increase the memory it is simply via the built-in micro SD card port that supports up to an addition 32GB. 7600mAh Battery – Coming with an impressive 7600mAh battery, the “Diablo” has more than enough energy life to run the high end applications and stay connected to the digital world for hours without the need to recharge. Check out the 9.7 Inch HD Android Tablet PC “Diablo” right now!